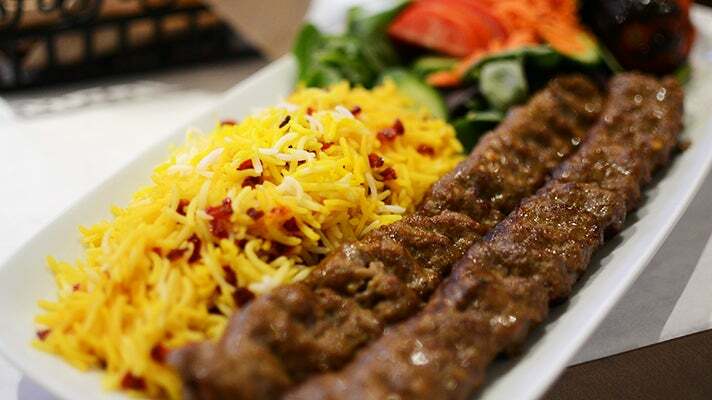 Located on Westwood Boulevard between Wilshire and Pico, the pocket of Persian restaurants near UCLA is in an area officially recognized by the City of Los Angeles as Persian Square, often referred to as Little Persia. Most menus focus on traditional cuisine and have strong similarities, while others specialize in more modern fusion favorites like Persian pizza or hybrid sandwiches. Persian Square was born out of the aftermath of the Iranian Revolution in 1979, in which the Ayatollah Khomeini ascended to power, and many citizens fled the country. Today, Los Angeles reportedly has the largest population of Persians outside of Iran, hence another nickname—Tehrangeles. But it’s not just Persians who comprise the loyal clientele here. Foodies make special pilgrimages for adopted comfort foods like koobideh and other kebabs. 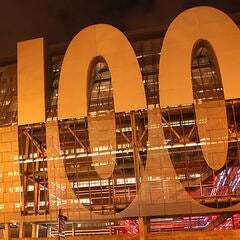 Several generations of UCLA students have also embraced the hearty fare. It makes sense. The portions are big and the food is filling. It’s also value-conscious. One meal can make for two days of leftovers. Opened in 1982, Shaherzad was one of the first Persian restaurants to appear on the strip—and also one of the most progressive. Named after the feminist narrator of One Thousand and One Nights, it welcomed many recent immigrants—and eventually, even curious outsiders—into its dining room. A meal at Shaherzad begins like it does at most Persian restaurants—with a complimentary basket of baked bread from the in-house tanor oven. The kashk bademjam, a dip of seasoned eggplant topped with yogurt sauce, sautéed onion and mint, is the perfect complement. It can be ordered alone, but for only a few dollars more is also served as part of an appetizer platter, which includes stuffed grape leaves, a ground chicken and potato cutlet, and chicken and potato salad. For the main course, the No. 47, a combination of filet mignon shish kebab and beef koobideh (rolled ground sirloin mixed with onions) is plenty of food for two. Like most meat dishes, it comes with a choice of basmati rice or a simple green salad—get half and half if you can’t decide. 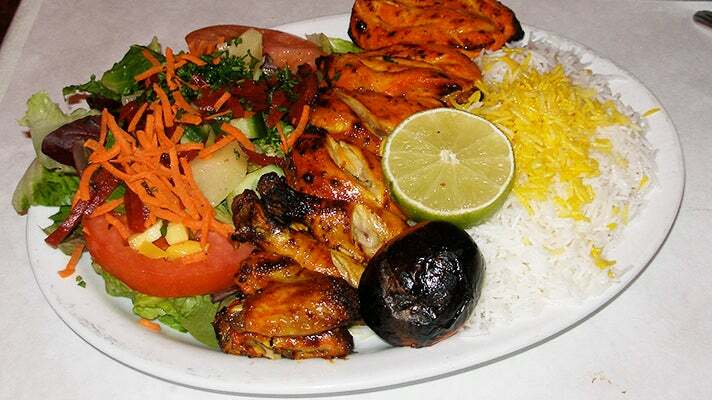 Also opened in 1982, Shamshiri Grill started its life in the neighborhood of LA known today as Thai Town. It moved to Westwood two years later, in 1984. Chef/owner Hamid Mosavi comes from a family of restaurateurs; two uncles owned Persian restaurants in Hollywood, and one of them was among the first in the U.S. It’s where Mosavi learned the ropes as a teenager back in ‘70s. He says that working in the kitchen gave him a sense of purpose in a world he found confusing due to culture shock. It was during that time that he also started hanging out in Westwood, and would all but trip over himself if he ran into another Persian on the street. He recalls, “I used to come to Westwood on weekends, and if I [saw] a few Persians, I would run to them [and say] ‘talk to me, do you want to have tea … ‘” It’s a scenario that’s hard to fathom now. The menu at Shamshiri is vast. One standout dish is the shirin polo, a rice-centric plate of basmati mixed with surprisingly non-bitter orange peels, almonds, pistachios and marmalade sauce. It’s available throughout the week with either chicken or lamb shank, but on Mondays and Fridays only can be ordered with terrifically tender lamb neck. However, all of the dishes that typically come with meat can be made vegetarian. Mosavi even makes a vegan curry. He first got the idea when he noticed that his wife’s relatives, all of whom are Jewish, wouldn’t eat any meat dishes at the restaurant because they aren’t prepared Kosher. And even though hummus is not even remotely Persian, it’s on the menu as well. And it’s good. For folks who are baffled by the mysterious restaurant called Sholeh that is often touted as a favorite among Persians, wonder no more. Sholeh is actually the translation of the word Flame in Farsi. Though it’s one of the more recent additions to the area, it built a fast following, thanks to chef de cuisine Zahra Mostashari’s reputation from the once popular, but now shuttered, Camden House. 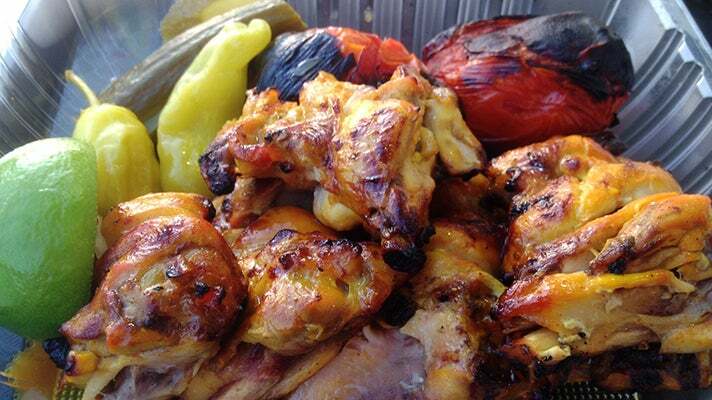 Her kebabs are regularly raved about, but the tah-chin deserves mention as well. It is served as a square slice, like a stuffed savory pie seasoned with saffron and yogurt, with the crust on top. On top of that are tart barberries. Either lamb or chicken can be baked inside, and the chicken can be any handy combination of white and/or dark meat. Green salad on the side plays a nice foil to the starch-heavy dish, but for a real treat, try the chopped Shirazi salad. 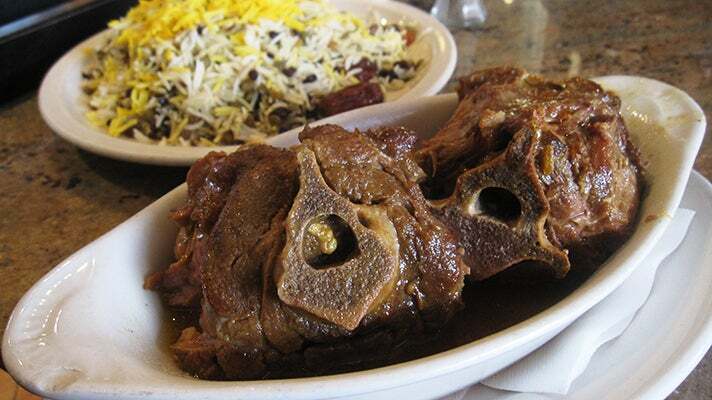 It’s a staple in Persian cuisine, and each restaurant does it differently. There’s no lettuce; instead, cucumbers and tomatoes are the staples, and here it’s served with onions and a house dressing. However, other restaurants may use any of the following ingredients: cilantro, mint, lime juice, olive oil, garlic and more. Note that the dining room is much more formal than most of its peers, with beautiful artwork depicting ancient scenes, white table linens, an exhibition clay oven, well dressed patrons and a $10 minimum per person. Another upscale restaurant for the neighborhood, Baran opened in its current incarnation in March of 2008, though the space had been the home of another Persian eatery of the same name before that. The name Baran translates to rain, though other than imaginative trickling light fixtures on the ceiling, it’s hard to see how that translates to the décor, which is mostly marked by dark wood and eye-catching red accents. The menu runs the gamut of traditional favorites, though the stews standout. 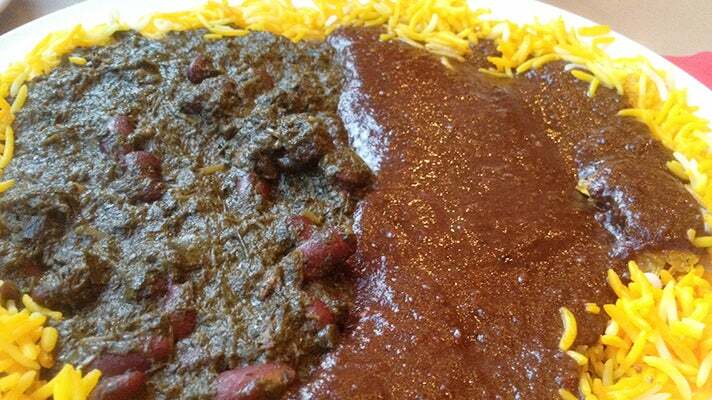 Specifically, the ghormeh sabzi is hearty blend of spinach, parsley, green onion and herbs. It can be served with beef or as a vegetarian dish. The consistency is similar to saag at an Indian restaurant, though it is far less spicy. Also, the fesenjan is a sweet mole-like stew of ground walnuts cooked in a pomegranate sauce with (or without) chicken. Each is typically served here with steamed rice, but can also be served on top of tahdig, a hard fried-rice crust. Ask for half-and-half to try both. Aside from the hearty food, one of the main draws here is the live music on Friday and Saturday nights. A young musician named Melvin plays Persian synthesizer music early in the evening and then starts signing as it gets later. 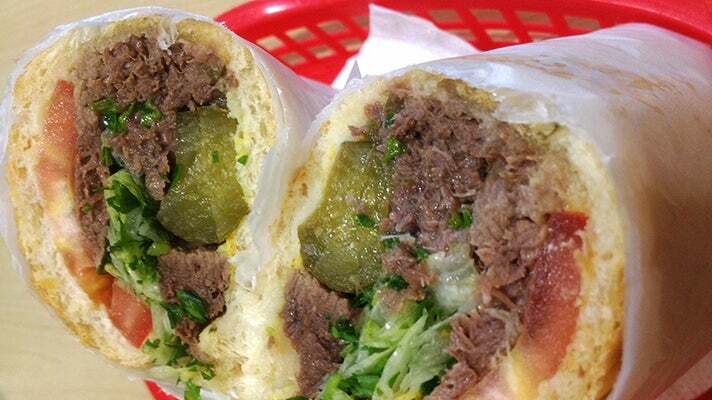 Attari Sandwich Shop is one of the most perennially popular stops in all of Westwood. It’s been around forever—30 years and counting in the same location—and has very affordably priced sandwiches and a comfortable courtyard setting. Everyone seems to claim a personal favorite, but the largest consensus swells around the tongue sandwich. It’s packed into a baguette also filled with contrasting elements to balance the richness of the meat, including mustard, mayo, lettuce, tomatoes and pickles (it’s essential to get a bite with the meat and pickles together). Located next door and connected via a not-so-secret passageway, is the younger sibling restaurant, Attari Grill. Building on the success of the first, the owners expanded in 2010. Many of the offerings from the sandwich shop are duplicated here, but the menu contains dishes not usually available there, and is much more formal. But the real beauty of having the two places back to back is that customers can usually order from either menu at both places. While the kukus are available at both, they are served as sandwiches at the shop, and as appetizers at the grill. The latter is better way to appreciate it for the first time, to really get a sense for what it’s all about without the distraction of the bread. Available in potato and sabzi forms, the sabzi is more distinctive. It’s basically a sponge-y, vegetal and herbal cross between a quiche and squishy soufflé. Yet it’s prepped in about half the time, and as the distinct green color suggests, chock full of spinach, cilantro and other herbs. One dish only found at the grill is the grilled rack of lamb. It’s listed as a kebab, but is not served skewered on a stick. It is seasoned beautifully and tender to the bite. Pay the small up-charge for the specialty baghali polo rice with dill and lima beans. The pairing of it with the meat is perfect. 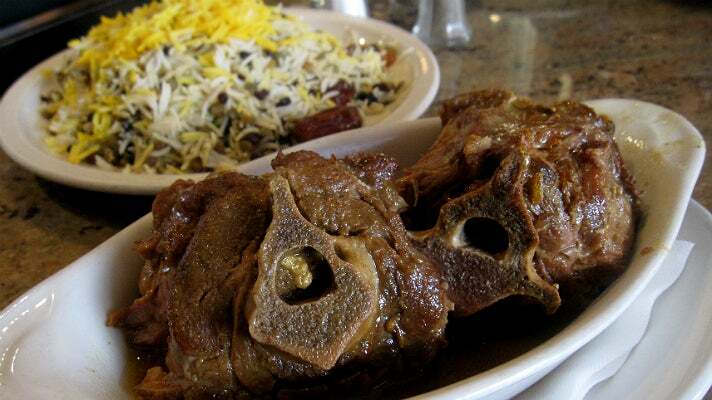 One last piece of advice: visit either location on Friday for the lamb shank stew known as ab-goosht. It takes three days to make, and the juice and meat are served separately. Demand far outweighs the supply, so it rarely lasts past lunchtime. In a short time, Persepolis has built a reputation for its tasty sandwiches and its personable co-owner and former soccer star, Reza Rezaeimanesh, who is often behind the counter. For a former athlete of considerable talent, he’s an easygoing guy. Rezaeimanesh played as a left and right midfielder for the Iranian National Team for 12 years, but had no experience in the restaurant world before he opened Persepolis in 2010. He was also brand new to Los Angeles at the time. 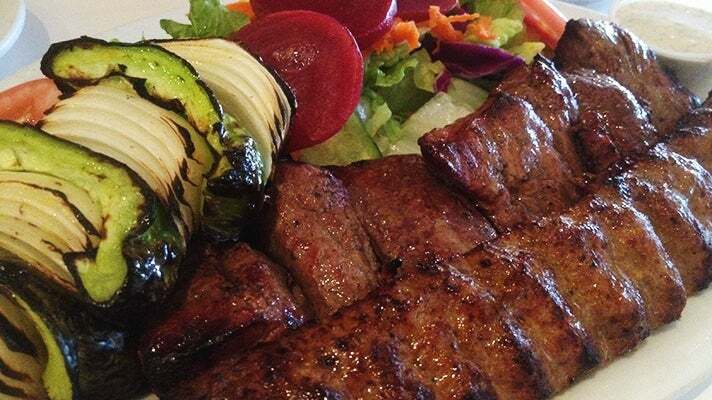 Fortunately, his business partner, Shawn Mohseni, had spent about 10 years working at a restaurant of the same name in Reseda that also has essentially the same menu. Mohseni’s uncle now runs the joint. At the Westwood location, the menu is a mix of traditional and more Americanized dishes. One of the most interesting combinations involves sossi and olivieh together. 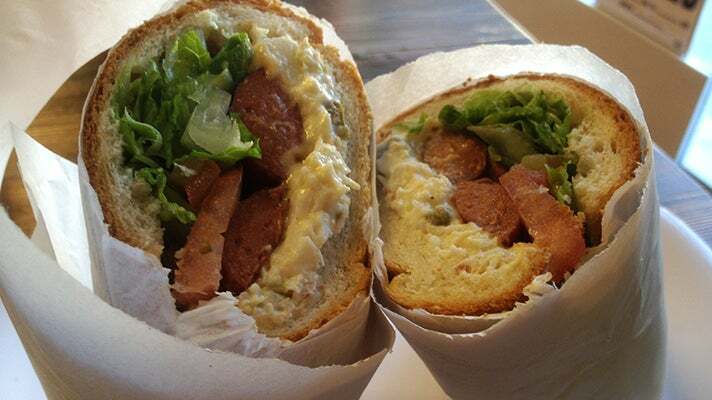 Sossi is similar to a thin sausage or hot dog—it’s grilled to order—then placed on toasted bread with the creamy olivieh, plus lettuce, tomato and pickles. The olivieh basically offsets the salt and snap of the sossi. An honorable mention should go to the fan favorite chicken pesto panini, though it’s not the least bit Persian. Persian pizza is basically a personal-size pie, and the focus is on the traditional five toppings of tomatoes, green bell peppers, mushrooms, mortadella and sossi—as well as the condiments. The crust is neither distinctly thin nor thick—it’s somewhere in the middle—and the toppings aren’t so much toppings as they are ingredients encased under a bulbous cheese canopy. There is no sauce. However, the traditional way to each it is with squirts of ketchup and ranch dressing. No, really. It actually works. 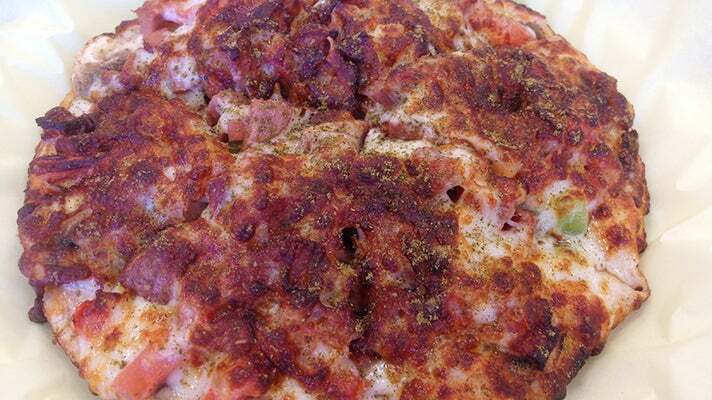 A lesser-known fact is that they serve sesame pizza as well. One of the most popular desserts here is the majoon, which is the Persian equivalent of a milkshake, combining sesame, pistachio, chocolate, honey and, of course, ice cream and milk. Persian ice cream has become so popular in L.A. that it’s hard to imagine a time when a skilled tradesman would consider not serving it at his corner store. But that’s exactly what happened when the owner of what is now Saffron & Rose immigrated from Iran in the late ‘70s. According to his grandson, Fred Papen, he believed at the time that there simply wasn’t the demand for Persian ice cream in L.A. However, with the influx of a community that followed, he moved from Santa Monica to Westwood (and later up the street to the current location). Because the ice cream is made from fresh ingredients, some flavors are only offered seasonally, while white rose and pistachio & saffron are always on the menu. At any given time, there are about 25 varieties being served. Each is made with all-natural, ingredients. For instance, in summer, the cantaloupe utilizes real, fresh fruit, and in winter, the pumpkin comes from an organic puree. Located inside the Super Sun convenience store, Farsi Café has been has been open less than a year, but has already established a brisk to-go business, though there are also several small sidewalk tables for dining onsite. It’s operated a bit like a deli, with a variety of prepared foods like soups and stews, but there are also cooked-to-order kebabs, which can be served a la carte or with the traditional rice and sides. The ownership is separate from the market itself, but makes for a convenient one-stop shop since there are also staples like milk, produce and even zaatar-flavored lavash chips. 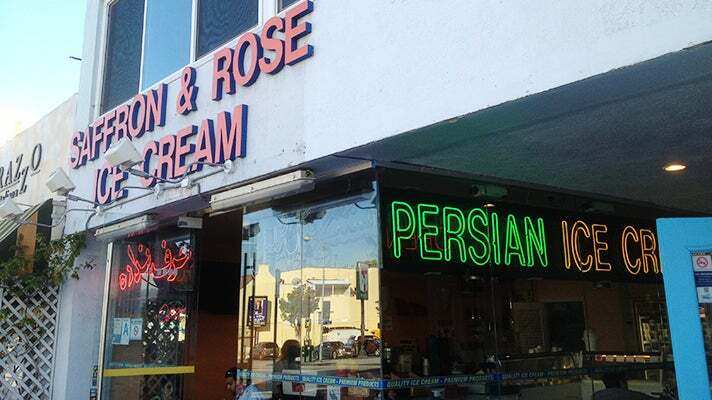 The store sells Mashi Malone’s famous Persian ice cream as well. Pink Orchid is a cute café and bakery that sells a ton of sweets and is most famous for its Persian cookies, such as the ones made with chickpea flour or jam, though the piroshki deserves props, too. Unlike the Russian dish of the same name, Persians prepare the pastry as a dessert and stuff it with custard. It’s actually much more like a donut. Ask for it to be served warm and enjoy it with a glass of tea.